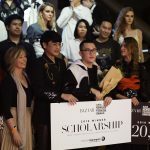 Singapore – Raffles Singapore congratulates Raffles Fashion Designer, Andrew LOW, on winning the prestigious Harper’s BAZAAR Asia New Generation Fashion Award 2018 – Singapore. Andrew will go on to compete on a regional level with award winners from other countries. 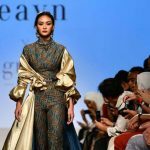 Harper’s BAZAAR Asia NewGen Fashion Award has been a platform to discover and nurture emerging talents from the four regions – Singapore, Indonesia, Malaysia and Thailand – giving them the opportunity of a lifetime. Rigorously selected by Harper’s BAZAAR editors in those countries, the grand winner will be featured in all four regional editions of Harper’s BAZAAR. 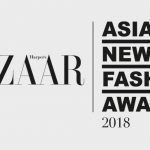 Special thanks to Harper’s BAZAAR for supporting Asian Designers and recognising the talented winners from Raffles colleges: Harvee KOK, Sean LOH, Sheila Agatha WIJAYA, Wilsen WILLIM, Alwyn CHUA, Cynthia Francisca HARYONO, Evelyn CHIA, Peggy HARTANTO, Junn TAN, and William UTAMA. 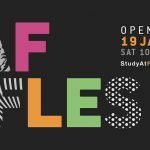 Well done to all Raffles Fashion Designers!